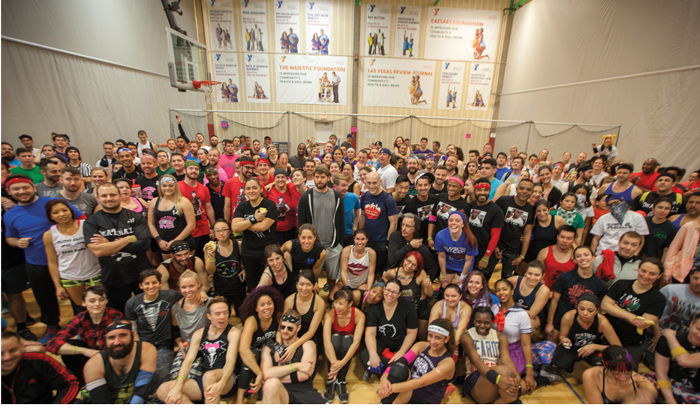 For the with year, Las Vegas is the destination for gay and ally athletes, family and friends for the Sin City Shootout (SCS.) The brain child of tournament director Eric Ryan and his affiliation as a member of GLASA—the Greater Los Angles Softball Association, the dates this year are January 14–18, 2016. Always held over the Martin Luther King Jr. holiday, this year the crowd is expected to number over 8,500 people. From its first year where there were only two sports involved, this year boasts 24 different sports being played – from A-to-Z, ah, just to W this year—from Arm Wrestling to Wrestle & Grapple. This has quickly become one of the world’s largest weekend gay sports tournaments. And you don’t have to be the ultimate jock to enjoy yourself. Some of the sports offered include billiards, darts and bridge where you don’t necessarily need to sweat or bleed to be considered an athlete. All sports are welcome! As always, the events include some of the best bars in town with reduced prices for SCS participants with the proper ID. And that doesn’t include the discounts available on some of the fabulous Vegas shows and attractions. The host hotel, the Tropicana Las Vegas, has over 1,300 rooms reserved for the event at the starting price of just $79. And the hotel even gets in the spirit with its entire reservation bank lit up in rainbow colors. But if you haven’t already booked your room, start your reservation process now since the hotel is likely filled up even though open rooms are added as they become available. An event this size always depends on great volunteers to help things run smoothly. So if you’d like to be part of the volunteer brigade, get in touch with the tournament staff via the contact tab on the SCS website: www.sincityshootout.com. In addition to the new sports and a new closing party location, this year includes the launch of a sports diversity leadership conference on Thursday, the 14th. For more information, go to competenetwork.com/douglas-p-holloway-sports-diversity-leadership-conference. We’ll see you at Sin City Shootout!